Aunty Merle The Musical triumphantly returned to the Baxter Theatre in Cape Town this week for a festive run, prior to opening at Joburg Theatre on February 1. 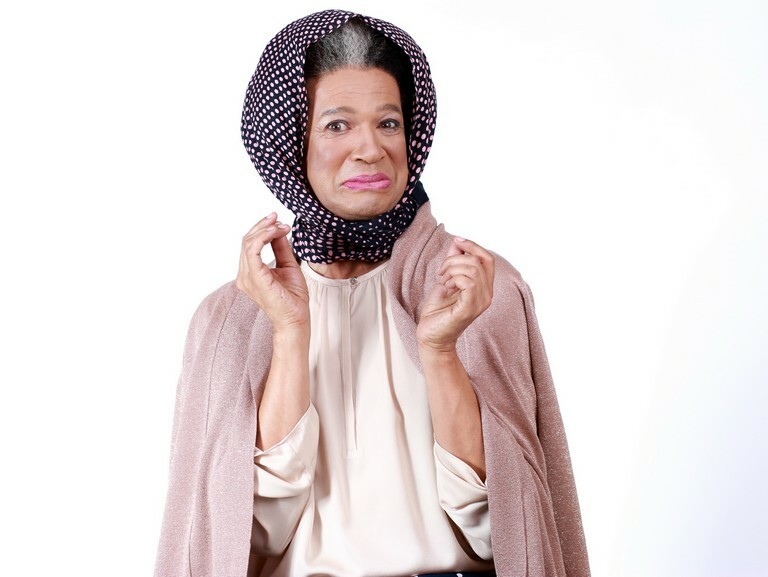 Written by comedian Marc Lottering, and directed by Lara Foot, Aunty Merle The Musical received no fewer than four Fleur du Cap Theatre Nominations. The hit show has already enjoyed two sell-out seasons, and is back by public demand. The production boasts 14 actors and a live band. High Drama unfolds in Belgravia Road, Athlone, when Merle’s daughter Abigail (Tracey-Lee Oliver) announces her engagement to her Bantry Bay boyfriend Alan (Paul du Toit). As Merle puts it: “he’s a good-looking white chap!” But it’s never smooth sailing in the world of Musicals. Abigail’s twisted and corrupt ex, Denver Paulse (Loukmaan Adams), who holds a dodgy top job with the SABC, is determined to get her back. If not, he threatens to reveal a very dark secret which is bound to tear the lovers apart. The role of Aunty Merle is played by Lottering.